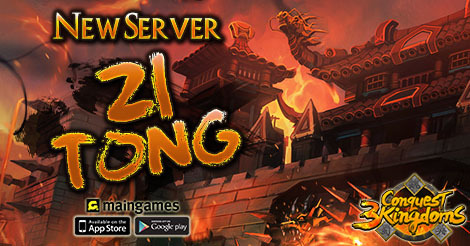 Let's play newest server of Conquest 3 Kingdoms Mobile "Zi Tong" ! play and beat all all players around the world to claim your emperor throne! Time：2nd -3rd day after the server launch. Ini admin mabok genjer kali ya..udh 4 hari server jalan ga ada event..